Vermintide 2 delights in its violence, a state of constant balance that makes the player feel overwhelmed but in control. With a myriad of classes to choose from and an excellent variety of loot, it shines in ways that have yet to be explored by others in the genre. It’s like Left 4 Dead. Now that that’s out of the way, let’s talk about Warhammer: Vermintide 2. Made for those of us who wish to live out our most violent fantasies of killing upwards of 10 living humanoid creatures with a single broad stroke of a massive sledgehammer. Oh, and you can play as a dwarf (I always play as a dwarf). Vermintide 2 is the sequel to the cult-hit and more unfortunately-named release Warhammer End Times: Vermintide. I didn’t play the original title as it flew right under my radar, but unbeknownst me I am an absolute addict when it comes to the genre. The four player cooperative nature of the horde-culling action must have been a dormant passion of mine, because I could not stop playing this game. After spending over 20 hours on the beta alone, here are my impressions of the game’s final release. The most immediately apparent difference between Vermintide 2 and the “other” game everyone likes to compare it to is undoubtedly the character building and progression system. Instead of simply playing a cosmetically different character, there are five to choose from, each with three “careers” that drastically alter how they play. Bardin, the dwarf, can take on a tankier vocation and block all incoming attacks for a short time with his active ability. Sienna, the Bright Wizard, can summon huge swaths of flame to barbecue enemies from afar. Combine these careers with a talent point system and Diablo-esque loot drops, and you have yourself a nice recipe for unique and fun builds. And ultimately, this is where Vermintide 2 finds not only its core gameplay loop, but also its addictive longevity. In Left 4 Dead, you do campaigns again and again for fun. But this is 2018! We don’t just want fun anymore, we want dopamine hits from randomly generated loot and cosmetic items. Fatshark went the whole mile with this one, because that loot is found in boxes. Loot boxes. Please don’t close the tab. Vermintide 2 contains no microtransactions, instead opting for these parcels of pleasantry to be acquired through completing missions and leveling up. Loot boxes can only contain gear which can be used by your character, and if you don’t like what you get you can upgrade it, re-roll it, or scrap it and craft something else. It’s a pretty player-friendly system, as there’s a lot of agency in the kind of loot you’ll be getting and how you’ll get it. More on this later. With the elephant out of the room (this time it was an elephant, but next time it could be anything!) let’s talk about the combat. Oh my, dear me, the combat. It’s disgustingly good. It’s gut-wrenchingly crunchy. It’s pure bliss. It’s fun enough to almost invalidate my frustrations after wiping 25 minutes into a run with randoms; every swing that cleaves through hordes, every hammer that crushes skulls, it feels organic and naturally violent. There’s a subtle nuance as well, being able to dodge, block, and push allows for on-the-fly re-positioning and strategic culling. If an enemy is about to strike, you can either finish them off first, block, or dodge away. This quick decision is often dictated by what you can see in your peripheral vision. Positioning is key, and not taking damage is the name of the game, meaning battles can feel like dances of death with foes many times your size and number. The game is also hard. Excruciatingly at times, feeling as though the “director” (the name given to the AI which spawns enemies dynamically in these types of games) is a sadistic Chaos Lord sitting at some infernal device trying their best to ruin your day. It can feel unfair, or cheap, but the fault was almost always entirely on me and my team. We were simply spread too thin to help each other, or got bottle-necked by trying to fight a horde in a small area. It takes a great deal of teamwork to finish a mission intact, and once you get a group together that runs smoothly, you’re dumped back into the keep (serving as a hub area) to continue your adventures. I found this system of giving players a way to run around and gear up before missions was much better suited to repeated play-sessions than dumping them back into a menu. This means making new friends and finding groups for the long-haul isn’t nearly as hard as it could have been. Luckily, a big part of the game’s challenge is up to the players themselves. Tomes and Grimoires are scattered through the map in set locations. These books take up a healing slot and cut down your max health, respectively. Carrying them all the way to the end of the level upgrades the loot box given at the mission’s completion, meaning better loot and also more experience. At first, they can be nearly impossible to find, and it seems as though they were designed as more of a community challenge than an exploratory one. I found myself being guided to them by more experienced players, which felt both endearing and a little patronizing. Nonetheless, they’re a great way to spice up a run, and they don’t feel obligatory if things aren’t going as smoothly as the group would like. 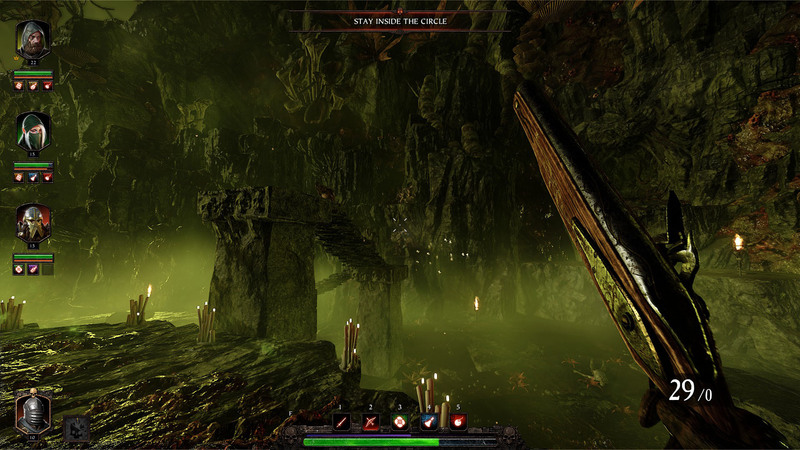 Vermintide 2 doesn’t tell you were Tomes and Grimoires are found in each map. This isn’t a problem, but Vermintide 2 also doesn’t tell the player much of anything. Did you know blocking while resurrecting a player can stop interruptions when being hit? I sure didn’t; I had to learn it after being told by a disgruntled teammate. Did you know you can save up your commendation boxes (loot boxes gained from leveling up) and open them later for higher leveled gear? I read about that on a forum. Vermintide 2 will frustrate many in its obliqueness, even lacking a basic character stat screen. A brief tutorial teaches the basics of combat, but any farther than that and you’re on your own. I love when games don’t hold my hand, but these little omissions can feel more like oversights than intentional design choices. Switching topics to things you can see, Vermintide 2 is a looker. From wheat fields to underground mines, windmills to death camps, the game is absolutely gorgeous, particularly thanks to a fantastic lighting engine. Loading into a level always feels like the start of a new adventure, and whether it goes well or not it sure as hell looks cool either way. Blood coats weapons and environments, ragdolls are dismembered and swept away, even Vermintide 2′s gratuitous violence can be strangely beautiful. Warhammer: Vermintide 2 isn’t a perfect game, but it’s certainly my kind of game. For an asking price of $30, there’s a lot here with 13 maps and 15 different classes. The gameplay is simply as good as it gets, and I stand by this being the best first person melee combat that’s ever been done (Skyrim feels like a limp-wristed pillow fight in comparison). It improves on the Left 4 Dead formula with new enemy types and far more variety, making repeat sessions much more palatable. Vermintide 2 delights in its violence, a state of constant balance that makes the player feel overwhelmed but in control. 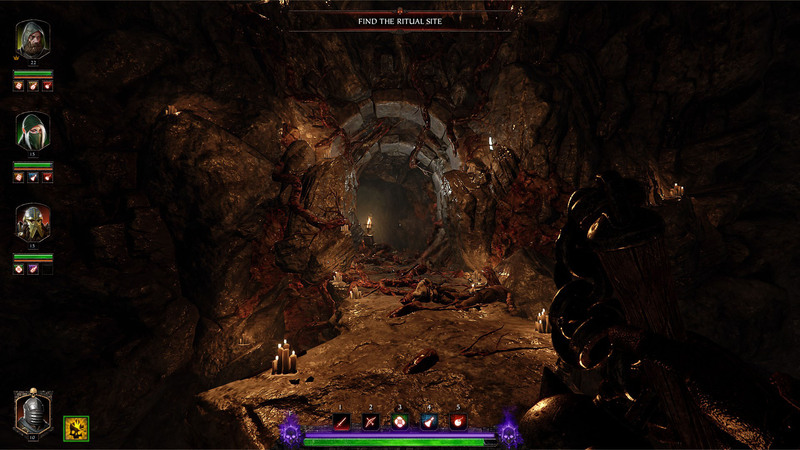 With a myriad of classes to choose from and an excellent variety of loot, Vermintide 2 shines in ways that have yet to be explored by others in its genre. These cooperative catastrophes always leave me coming back for more. 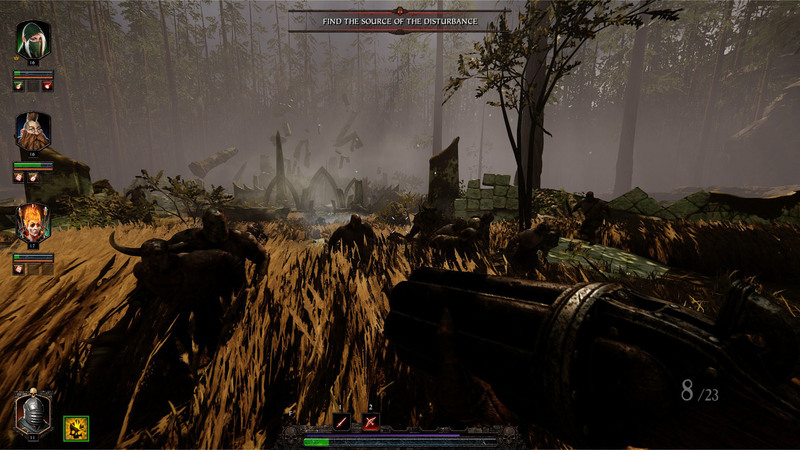 This review is based on the PC version of the game, which was provided to us by Fatshark.